For all the hype around Internet of Things and automation, its ironic that we refer to current gen smart homes as ‘smart.’ The reality is that home intelligence is yet to go artificial, and all of our devices still demand input from the user because they don’t yet know who we are or what we like. Sure, we can lower the thermostat while still at the office for a cooler welcoming upon our return, but that isn’t a function that necessitates human involvement. Lighthouse, one of many exciting startups to emerge from Android cofounder Andy Rubin’s incubator Playground, wants to integrate AI and 3D-sensing technology into the mix, helping smart homes back up their claims. Founded by Stanford PhD Alex Teichman, who previously helped push the needle over at the university’s accredited self-driving car lab, alongside the first Google X engineer and one of DARPA’s Grand Challenge winners Hendrik Dhalkamp, the company’s first product dubbed ‘Lighthouse Interactive’ draws on the context of our daily lives to help smart homes work with and for us. 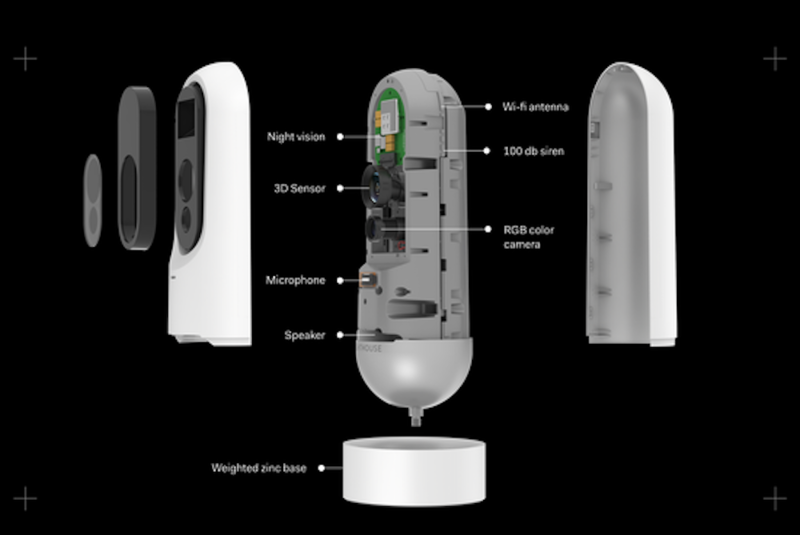 The device is essentially a more powerful version of Amazon’s Alexa, complete with an internet-connected camera to let it see and interpret the environment its in, alongside photoelectrical sensors to grant the product night vision capabilities. As such, the device operates by bouncing light that’s invisible to the naked eye to detect and understand what it looking at – as opposed to the conventional means of calculating the shape and distance of an object – which grants better data for the AI to make sense of what’s going on. In this manner, it can safeguard the house and alert police of intruders, activate your coffee machine the moment your rise, let you know if your teenagers are past curfew, detect fires and leaks, and so forth. According to Teichman, Lighthouse Interactive is the brain that the smart home has been missing. Devices fail when they’re set to activate at certain times, such as when you wake up or go to sleep, when those pre-planned actions don’t actually happen. If your ritualistic hot morning shower turns on, but you opted to hit snooze on your alarm clock for that extra ten minutes of sleep, you’re not just losing money, you’re using your smart home detrimentally. A tool that can trigger actions based on context or intent is therefore more powerful than one that works on a timer. While many devices have emerged to help drive the advancement of smart home technology, most manufacturers are focused either on a singular function (read: smart oven, smart thermostat, etc…) or an infrastructure to connect those disparate devices. Few are paying attention to the actual automation of these utilities, which is the premise of Lighthouse as a company. To truly bring your home into the 21st century, devices will have to identify the presence of users and respond to their wants and needs without instruction (past the initial settings configuration) – a feat Teichman and Dhalkamp hope to achieve when Lighthouse Interactive makes its way to the market.